On October 16, 2016, Akshaya Patra laid out the red carpet to commemorate 1.6 million meals that it serves daily to government school children in India. The special evening, held at The Leela Palace, Bengaluru, was celebrated amidst the corporate heads of South India. This convergence helped the organisation stress on the need for Akshaya Patra to grow sustainably. Among the main speakers were Mr Dinesh Malkani, President of Cisco India; Mr TV Mohandas Pai, Independent Trustee; Shri Chanchalapathi Dasa, Vice-Chairman and Mr Shridhar Venkat, CEO of The Akshaya Patra Foundation. Corporate leaders were invited from Cisco, Bosch, Wipro, Accenture, Ernst & Young, NetApp, Jockey, Inflow Technologies, Duroflex, and Bagmane Group among others. 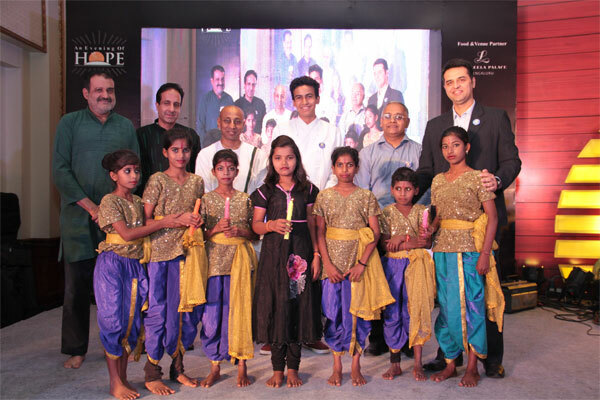 The event began with a performance by students of Kodihalli Government School, Bengaluru. This was followed by a breathtaking performance by Ambika Jois, a versatile Carnatic singer. Two components that made the event memorable were - The introduction of the First Youth Ambassador of Akshaya Patra and Cook-a-thon involving renowned chefs. Shivant Malkani of Class XI, who has authored a recipe book for Akshaya Patra, was chosen as the youth ambassador for his dedication towards the organisation’s programmes. Shivant accepted the honour and has pledged the sales proceeds of his book to Akshaya Patra. Cook-a-thon was curated by Chef Abhijit Saha of FAVA, Bengaluru. This competition challenged some of Bengaluru’s celebrated chefs to create a unique winning recipe using fewer resources. The 30-minute nail-biting Cook-a-thon had the audience curious and engaged. The end result was six recipes that have been added to the Akshaya Patra’s recipe bank. We look forward to more of such events and would like to thank all the attendees for pledging their support towards our Food for Education initiative. We are grateful to The Leela Palace, Bengaluru for being the food and venue partner pro bono. Click here to view the exclusive images of the event.